There’s one thing that matters more than anything else when it comes to how good a guitarist you can become: your practice habits. How consistently and effectively you practice will determine how good you become. Any musical talents you think you may or may not have don’t matter unless your practice habits are up to scratch. In this article let’s look at some of the most important practice tips you can apply in your practice sessions. As a guitar teacher I know how effective this tip is. If your guitar spends it’s life in a case, under your bed or in the corner of a room you never go to, you won’t play it. Take your guitar and place it in arm’s reach of any place you regularly spend time in your home. For some people this means placing a guitar stand right next to your couch. For others it means having it right next to a desk or table you spend time on. Have everything ready to go so at any time when you feel the slightest spark of motivation to practice, all you need to do is reach over and pick up your guitar. It might sound like a strange tip, but I’ve seen this small trick completely change the habits of many of my students. You’ve probably heard of how useful metronomes are to practice with, but there’s a different tool that’s far more valuable in my opinion. A looper pedal not only lets you analyze your own playing and make improvements, but it’s an excellent jamming, songwriting and practicing tool. 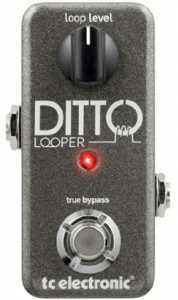 If you’ve never used a looper pedal before, what they do is record anything you play and loop it over and over for you to play over. So for example you can record yourself strumming a chord progression or riff, then easily improvise over the top of it. As you can see, there are a lot of ways you can use a looper pedal in your practice sessions. Unlike a metronome which can only help you work on technical skills, a looper can also help you develop your creativity. The good thing about loopers is you will never grow out of them. 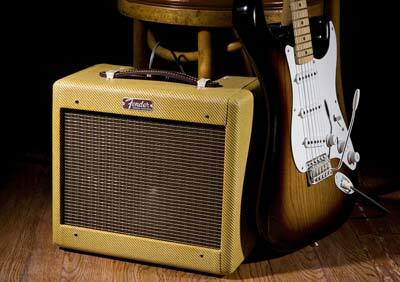 As you develop as a guitarist, you will find new ways to use a looper. Check out some of the best looper pedals available today in this guide. That guide also contains a link to useful exercises to show you how to get started with a looper pedal. A lot of guitarists don’t like to structure their practice sessions. They feel sticking to a routine or structure somehow can kill their creativity (which makes no sense). Often when I ask intermediate guitarists to describe how they practice, they tell me they just play. The problem with just playing is it’s not going to push you. If you’re just jamming along to songs, riffing out and mucking around, you’re going to hit a plateau really quickly without realizing it. Starting your practice session with warm-up exercises is a good way to get your fingers ready and develop your skills. Check out these simple exercises for an idea on what to start your practice sessions with. Learning other people’s songs is a great way to develop your skills, learn about music and enjoy playing guitar. That might sound obvious, but it’s good to remember that learning new songs isn’t just for fun – each song teaches you something new. Try to spend some time in every practice session learning something new. Each new riff, lick, solo or chord helps you become a better guitarist and a better musician. Take your time. Even if a song is really easy, spend some time learning to play it as good as you possibly can. If a song is too hard for you now, slow down and take it one note at a time. If a song is “too easy” for you, learn it anyway and try to play it with perfection. Listen to how other guitarists play songs you know how to play and think about how they do things differently to you. It’s not a competition so don’t judge other guitarists – instead try to learn from others. What do other people play better than you? What are they doing differently that you can copy? Don’t move on to a new song too quickly. There’s a difference between being able to play a song and really knowing a song. “Good enough” is the enemy of “great”. Don’t be in a rush to jump to the next song. Spending time in every practice sessions learning new songs will ensure you keep pushing yourself to become a better guitarist. Scheduling time in your practice session to be creative and muck around is important. Practicing isn’t all about technical exercises and drills – you’re not a robot! Being a great guitarist also involves being creative. Learning to improvise over backing tracks, write your own riffs and licks or simply play around with different strumming patterns is all important. A great way to finish a practice session is to spend 5-10 minutes jamming, songwriting or playing around with new things you’ve learned. While this shouldn’t be the only part of your practice session, it’s an important part. Put on a backing track and try to play some lead over the top of it. Even if you don’t know how to do this yet, just experiment and see what works and what doesn’t. If you regularly do this, you will gradually develop your sense of musicality and creativity. Every time you play something on guitar, your ears pay close attention. If you play on a slightly out-of-tune guitar, your ears will adapt and learn to accept that out-of-tune sound as normal. Then when you go to play with other guitarists or in a band, you won’t notice that you sound horrible. I’ve seen this happen too many times to otherwise great guitarists. Practicing with an in-tune guitar is crucial to developing a good sense of pitch. Make tuning your guitar part of your practice routine. When you sit down to practice, quickly check the strings are in tune before you start playing. It might seem annoying, but it prevents issues later on. If you play acoustic guitar, a clip on tuner is the best option. 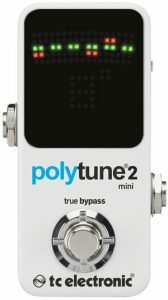 If you play electric guitar, I highly recommend a tuner pedal. While you could use a clip-on tuner on an acoustic guitar, there are other benefits to having a tuner pedal in your rig. Alternatively your guitar amp may have a built-in tuner. That’s perfectly fine when you’re starting out. If you don’t already have a tuner, check out these tuners to find one that suits you. 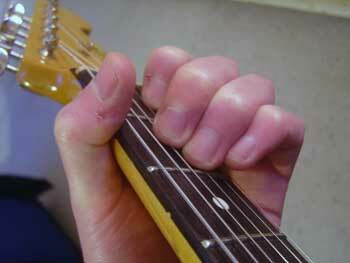 If you’re just getting started with guitar, you might feel pain or pressure in your hand and fingers when practicing. While some of that is normal, make sure you’re not squeezing the life out of your guitar. A lot of beginners tend to push down too hard on the strings and grip the guitar too hard. This causes strain and bad form that can quickly turn into bad habits later on. Whenever you see a video of an advanced player, you might notice how effortlessly they make it look. Their hands freely glide around the fretboard without any problems. That’s because they’ve learned that you don’t need to apply much pressure to the guitar when playing. Your hands should be relaxed and fairly loose. It might be difficult at first to play with a looser grip than what you’re used to, but your fingers and hand will strengthen over time and you’ll end up with a far better playing technique. Do you practice sitting down or standing up? Practicing in one position gets you comfortable with that position. If you always practice in one position, any other position is going to feel weird when you try it. Alternate your practice sessions between sitting down and standing up. Learning to be comfortable in both positions will help you become a better player and boost your confidence. It will also make sure you don’t develop bad posture habits. Some guitarists think of practice as the annoying thing that gets in the way of playing guitar. Don’t think of practice like that. Practicing allows you to become a great guitarist and it’s something we should enjoy doing. If you don’t like practicing, you’ll practice less often which means you won’t improve. Even if you’re not happy with your current skill level, learn to enjoy your practice sessions. Each session helps you become a better guitarist so even if it feels like hard work, it’s worth doing. Practicing isn’t just about playing boring scale exercises over and over, it’s about working on the things you want to work on to become a better player. If you feel like you’re stuck in a rut with your playing or you can’t improve, change the way you think about practice. Don’t think of it as something you have to do, think of it as something you get to do. Enjoy your practice sessions and you’ll see a big difference in your rate of improvement.